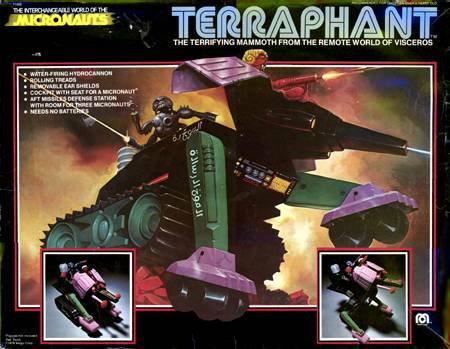 Run screaming in terror as Terraphant rolls off the box and overtakes you with all it's water squirting might! Wow! What a toy! And some of the best box art that I've ever seen! This water squirting beast was originally intended to have rocket-firing tusks as well, but alas, it was not to be.